Within every business and across every sector worldwide, innovation and disruption are now the primary challenges that leaders face. New technology trends and digital platforms emerge every year, and only the agile and responsive are able to truly thrive in such an environment. This has massive repercussions for those involved in the realm of software development and digital innovation. Instead of merely implementing once-off development projects, businesses now need long-term engagements with development teams in order to stay abreast of technology development and to ensure that the best solution is in place. 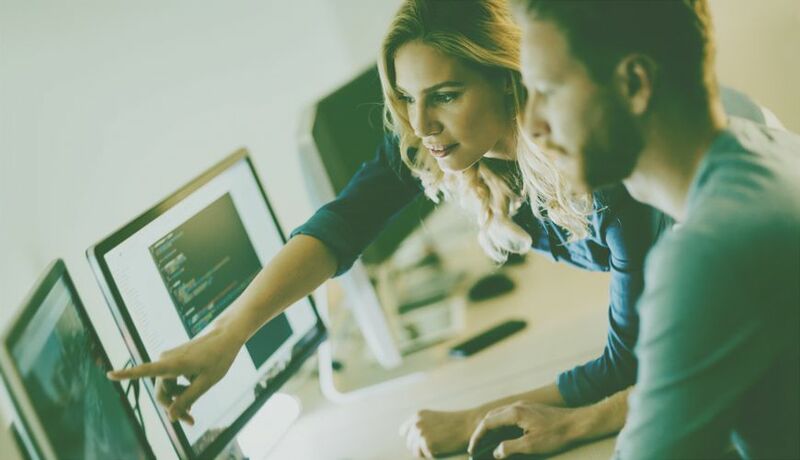 As with technology itself, software development is not static – and the process needs to reflect the fluid, iterative and innovative nature of today’s technology environment. With this in mind, businesses and software development teams need to take a closer look at their approach. In order for the best and most agile software solution to emerge from the process, there undoubtedly needs to be a far greater level of transparency built into the relationship. In many cases, this means rethinking the entire process – and making very practical changes from the start. To begin with, the early engagements between clients and software development partners should be very carefully and thoughtfully approached. Often, the stakeholders or people present in these early engagements are simply not close enough to the business problem. Or, the business problem itself has not yet been properly identified and thought through. The result of either – or a combination of – these two scenarios is that the client receives a solution that they perceive as different to what they had asked for. The entire process then becomes frustrating and far more complex than both parties had envisioned. To avoid this, it is critical that businesses have a clear idea of the problem they need to solve, and the desired business outcomes. From there, both the client and the development team must ensure that the right stakeholders are present in the early engagements, and that the details of the project are discussed at length. Each party needs to be clear on the desired outcomes; the steps involved; and the roles that they need to assume in the process. This will ensure that there is a strong element of both transparency and visibility present in the relationship throughout. Given the iterative and fast changing nature of technology itself, the entire relationship between clients and development partners also needs redefining. It is no longer enough to invest in a once-off solution or ‘intervention’ – today, businesses need to view development teams as an extension of the modern enterprise environment. The goal should be to develop a long-term relationship in which the needs of the business are very clearly understood and factored into each step of the development process. For such a partnership to emerge, there needs to be a very structured approach put in place that allows for constant and honest feedback. In development lingo, it is called a continuous feedback loop – which places the client at the very heart of the process – and the solution itself. This can mean that the client provides feedback even sooner than the traditional two-week sprint period. In some cases, this requires internal process changes for the client. However, once the initial groundwork has been done, the process yields a natural trust and transparency that benefits both parties in the short and long term. For development teams, a transparent process leads to far higher productivity, as well as more consistency with regards to the quality of the software produced. For clients, they benefit from software that is not only more tailored and suited to their specific business and context, but they also achieve a solution that is future-proof and able to pivot in response to a disruptive business landscape. Megon Thomson is Software Development Manager at redPanda Software.